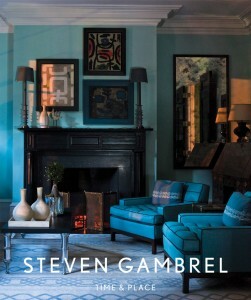 To say that I’m excited about the release of NY based designer Steven Gambrel’s first book, “Time & Place”, is probably a bit of a understatement. One of my favorite designers over the last few years, Gambrel seems to somehow outdo himself with each and every project. One of the most original eyes for colour around, and a sense of what is timeless yet current, this book will surely be a wonderful record of his work to date. I can’t wait for my copy to arrive! that cover photo looks awesome! BTW, I have changed my blog address to http://www.PalazzoPizzo.com, would be great if you have time to change the link to my blog. Thanks! Agreed! His color sense is without peer.